Ap Green themes has been purchased 13, rating: 4/5 based on 4 reviews. 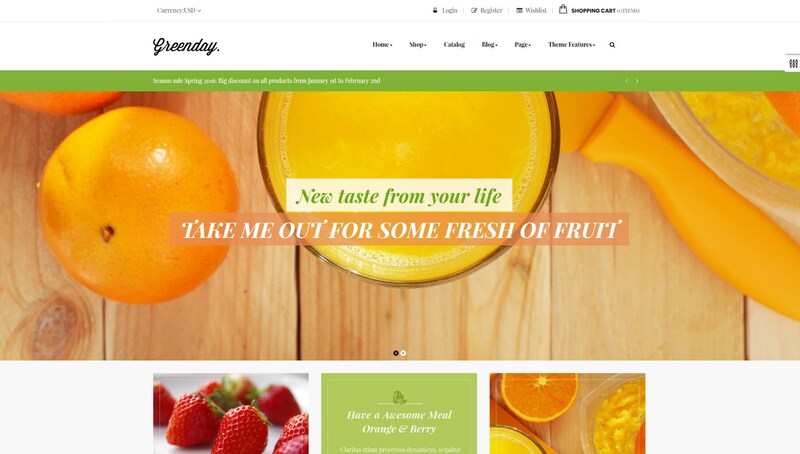 Ap Green is a Shopify template that is suitable for vegetable and fruits shops. Developed by Apollotheme, Ap Green can be used on any device and this is a fully customizable theme thanks to the flexible control panel. Whether you are a newbie, you can also use it with ease. In addition, it owns tons of powerful modules such as Mega Menu, Blog, SEO, Revolution Slider, Slideshow, Ajax Search, etc. If you are a smart shop owner, Ap Green Shopify theme is definitely a great choice.